NBA 2K17 Badges Guide: How to Unlock Every Badge in the Game! 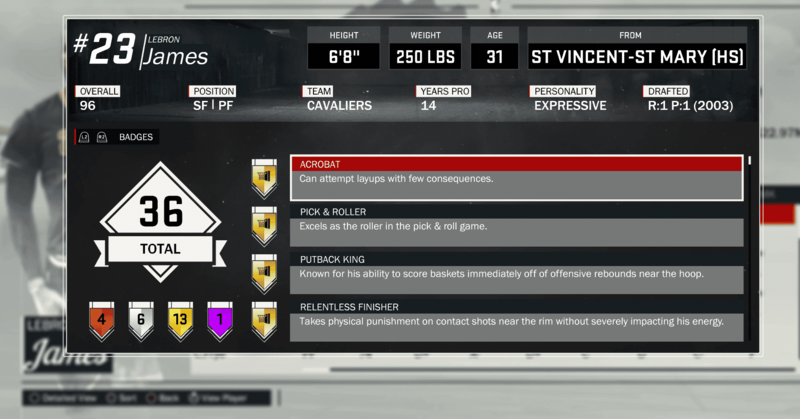 We now have the NBA 2K17 Badges Guide including the Personality and Signature Skills Badges into one list. Badges uniquely identify players in two ways: Personality and Skill. They affect how players react to various emotional situations, as well as how they perform in specific in-game scenarios. 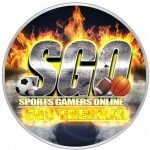 Skill badges have five tiers this year: Bronze, Silver, Gold, Hall of Fame and Grand Badges. They’re categorized as Outside Scoring, Inside Scoring, Athleticism, Playmaking, Rebounding and Defensive badges. Once you earn the bronze version, you can then purchase the silver and gold upgrades with VC (personality badges only have one tier). NBA players can now have up to 55 badges and the skill badges they have are not limited to just one tier. An NBA 2K17 MyPlayer will start his journey with a couple of predetermined badges. For example a “Sharpshooter” has Deep Range Deadeye, Limitless Range, Catch & Shoot, Corner Specialist, and Mid-Range Deadeye to start. You can find details on the NBA 2K17 MyPark Badges here and a guide to the best and worst Bronze Badges here. Alpha Dog – Team leader who takes it upon himself to lead his team to victory. Clutch Performer – Steps his game up in big games and big moments. How to get it: Shoot over 40% in the final minutes of a game. Wildcard – A player who can be wildly inconsistent. Spark Plug – Come off the bench or comes out of timeouts making big plays that can energize his teammates. How to get it: In a 6 game running window, you must average at least 7 points per game while coming off the bench. Enforcer – Can wreak havoc on the floor with tough and physical play. How to get it: Get 10 non-flagrant, hard fouls in a single season. Hardened – Will play through fatigue & injury without experiencing a severe drop in skill. How to get it: Play 20 games in a row where you average 80% of the team’s minutes or more. Championship DNA – Can quickly see where double teams are coming from. Also steps up his game in playoff moments. How to get it: Win an NBA Championship. Microwave – A player who heats up quicker than most. How to get it: Get your player “Hot” on offense at some point in the game for 5-10 consecutive games. When you have two red rings in your player indicator, you are considered “Hot”.